I completely forgot to post this blanket! I finished this one the other day and love it! Ice Yarn Dancing Baby has to be some of the most brightest yarn available. I love working with this yarn so much, you can feel the quality. 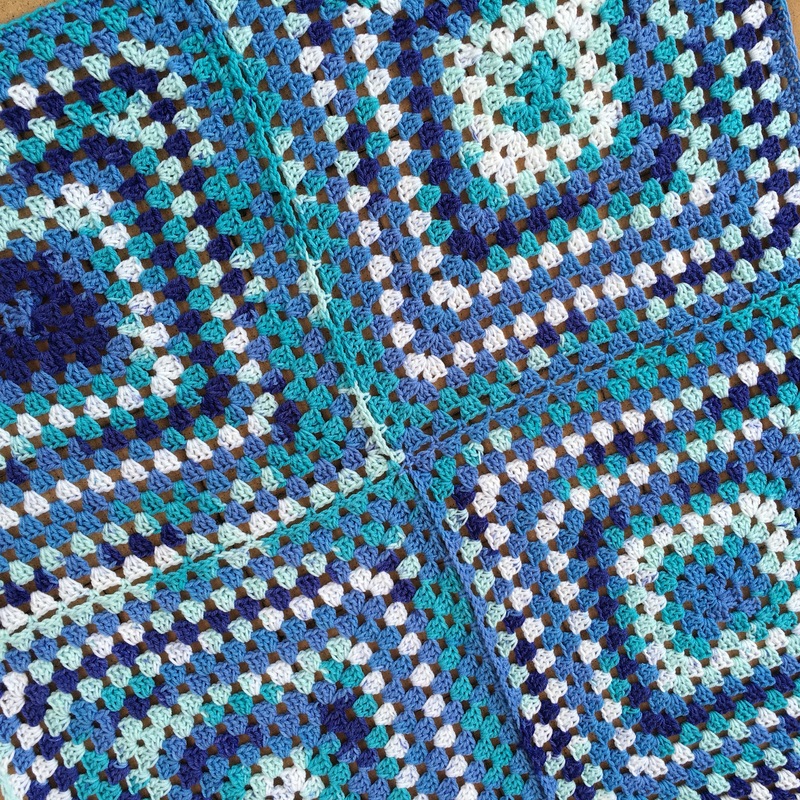 I made this blanket out of 4 granny squares crocheted together and a simple border to hold it all together.